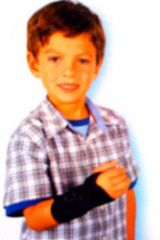 Designed to fit children and small wrists. 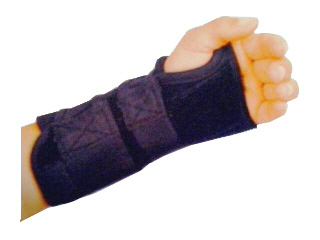 Constructed of soft, comfortable orthopedic felt laminated to brush nylon exterior. Anatomically contoured palmal stay is malleable for customization and removable for "step-down" rehabilitation. Stockinette tongue eases application. Anatomically designed for a better fit.